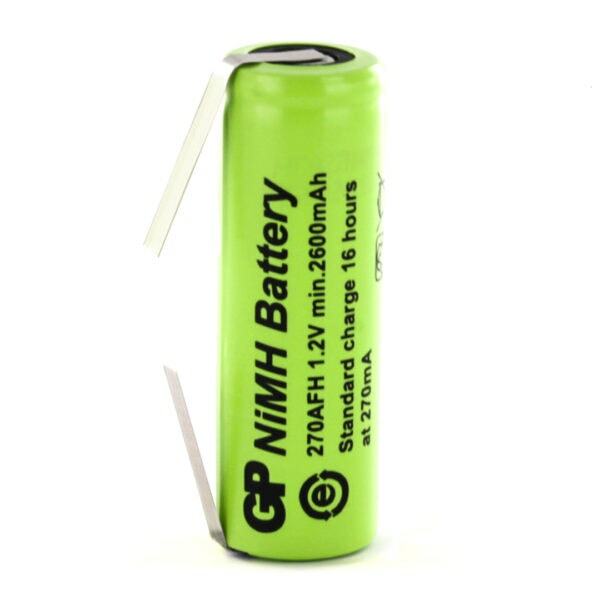 The GP270AFH/T is a tagged AF size rechargeable NiMH cell commonly used in battery packs. These batteries are made by GP. These batteries are a suitable replacement for the now obsolete GP250AFH/T. Supply of the cell was impressively quick, in appearance looked crisp and new (unlike a similar one bought elsesware which displayed corrosion) and has now been fitted in my Braun Oral B electric toothbrush. So far it has accepted a charge and is working well, but since it has only been in use for four days it will be some time before its longevity can be proven. For this review I can say that the cell is dimentionall correct as a replacement for a Braun Oral B, fits well with solder tags in the correct orientation for connections.